When President Trump signed the 2018 Farm Bill into law late last December, it essentially gave the hemp industry the green light to proceed without the legal constraints that were previously in place. The availability of CBD-specific products will spike, and the ease with which patients can gain access to these products will increase as people become aware of mail-order products that are now legal to ship nationwide. One of the most exciting niche markets in the CBD space right now is boutique hemp flower. This artisan flower is poised to explode with a range of new strains and an increasing selection of flavors and CBD potency levels. 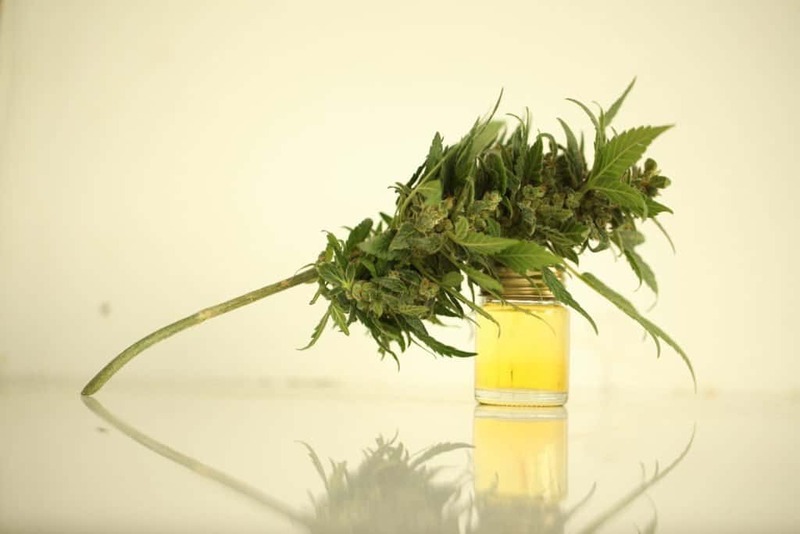 These hemp flowers are available to medical patients and others with an appreciation for CBD right now, and the awareness and appreciation for whole-plant medicine and the entourage effect will grow rapidly as an increasing number of people become familiar with hemp flower and its availability. These are exciting times for the cannabis space on both the hemp and marijuana sides of this rapidly emerging industry. A leading company in the boutique hemp flower market is Berkshire CBD, a Massachusetts company that specializes in top-shelf hemp flower (which contains 0.3 percent THC or less and high levels of CBD). Business partners Will and Perrin are busy marketing their new flower and filling orders for an enthusiastic customer base. The Cannabis Training University recently conducted an interview with Perrin to introduce our readers to an exciting new form of CBD they previously may not have known existed. The whole-plant medicine available in this flower harnesses the power of the entourage effect and brings it directly to the doorstep of customers in CBD’s most basic form: flavorful and healing CBD flower. If you’re a regular CBD user, you don’t want to miss out trying this flower. You may just find that it delivers superior results to the CBD oil or other CBD products you use. Berkshire CBD is shipping orders door-to-door, so you can enjoy freshly cured and packaged CBD flower right now. Perrin shares his thoughts about CBD flower and elaborates on this emerging market. Cannabis Training University: Berkshire appears to be tapping into a new CBD market. Many marijuana consumers appreciate whole­plant medicine with THC­rich marijuana. Do you see a similar trend with CBD flower? Berkshire CBD: Absolutely. We are firm believers in the ideology behind whole­plant medicine. Due to the increased bioavailability of the cannabinoids and terpenes found in the raw CBD flower, the whole­plant medicine philosophy naturally aligns with consumer needs when looking for integrity and value across the spectrum of hemp products. While the burgeoning hemp flower market will always be a relatively small in comparison to the larger CBD market, we definitely see a huge upward trend in interest from both artisan cultivators and educated consumers around hemp flower and whole plant medicine. Cannabis Training University: Since the flowers you sell are rich in both terpenes and cannabinoids (excluding tetrahydrocannabinol), does the entourage effect play a part in the healing properties of Berkshire flower? Berkshire CBD: Without a doubt. The terpene and cannabinoid profiles are something that we look at very closely when selecting the varieties of CBD flower that we include on our menu. We conduct extensive internal lab testing to help determine the health and wellness attributes that we might be able to expect from a particular batch. For example, when we see higher levels of myrcene combined with solid levels of b­caryophyllene and CBD, we generally anticipate a hemp flower strain that is going to be relaxing both mentally and physically. The entourage effect of these cannabinoids and terpenes can vary greatly, even within certain strains, depending on how the flower was cultivated and processed. For that reason, we spend a great deal of time and effort sourcing our hemp flower when we are trying to target specific healing properties generally attributed to certain strains. Cannabis Training University: We know that Berkshire flower contains impressive amounts of CBD. What are some of the most common terpenes contained in your flower? Berkshire CBD: The major players when it comes to our hemp flower terpenes generally include: myrcene, a­bisabolol, b­caryophyllene, humulene, a/b­pinene, ocimene­2, linalool, and limonene. We can usually correlate a flower’s smell, taste and efficacy based on reviewing the lab results in regard to the cannabinoid and terpene levels. Cannabis Training University: What can consumers who order your flower expect with their delivery. Is the trimming and curing of flower on a par with commercial marijuana? Berkshire CBD: Since we have chosen to focus entirely on premium CBD flower, we make sure that only the best hemp flower makes it to our menu. Since the drying and curing of the flower are extremely important to the integrity of the end product, we work exclusively with small, artisan farms that often are producing only an acre or two of hemp exclusively for the CBD flower. There is a huge difference in quality between hemp flower that has been grown for extraction and hemp that is being cultivated exclusively for the raw CBD flower. Beginning with the cultivation, through to the slow drying, to the 60-day cure and the hand-manicure, these small batches of hemp flower are treated with every bit as much care and attention as the high-quality marijuana one would find at a dispensary. Cannabis Training University: The names of the various CBD flowers remind me of marijuana strain names. Do you refer to the various CBD flower as strains? From a horticultural commodity perspective, the term “strains” isn’t often heard outside the cannabis space. Berkshire CBD: Yes, of course. To be clear, the distinction between hemp flower and marijuana is purely a legal formality, since they both derive from the cannabis plant, and their differences lie purely in their legal classification derived from their cannabinoid levels. Cannabis Training University: The creation of new strains is occurring at a rapid clip in the marijuana market. Do you plan to increase your catalog of CBD flower to include new varieties in the future? Berkshire CBD: Absolutely, there are many parallels in regard to the evolution of strains in the hemp market. We are extremely excited to see a whole new frontier of cannabis genetics that focuses less on increasing TCH content and more on the other cannabinoids. Each year, new and exciting hemp flower strains are becoming available to the grower and consumer. As the hemp industry continues to mature and evolve, we anticipate expanding our menu to include all the new varieties that meet our premium standards. Cannabis Training University: The flowers on your website appear to be covered in a rich layer of trichomes. What are the flavors like? Berkshire CBD: This is a great question. Hemp flower generally gets accused of having a very limited flavor profile. While that may be true in regard to hemp flower that is being cultivated on a larger scale for extraction, there are many hemp flower strains that, when cultivated at an artisan level, exude flavors and aromas similar to their higher THC cousins. In fact, many of the hemp flower flavor profiles are going to be familiar to any cannabis consumer, with the usual descriptive lineup, including: sour, diesel, citrus, earth, spice, fruit, and pine. With new strains of CBD flower constantly being developed, it’s going to be exciting to watch the consumer reaction to the flavor profiles as they occur. Cannabis Training University: One of the things medical marijuana patients appreciate with whole­plant medicine is the huge range of flavors, everything from sweet to sour and citrus spice to skunky dankness. For many people, terpenes play a huge part in the overall cannabis experience. Do you see a connoisseur market emerging with various CBD flower? Berkshire CBD: Absolutely. In high-quality hemp flower, just like marijuana, the terpenes are major players in the overall experience the user gets from the flower. As the hemp flower market matures, a certain portion of both growers and educated consumers will look for the subtleties and nuances in flavor profile that only premium flower delivers. We at Berkshire CBD are primarily interested in those exceptional strains that provide a multi­layered experience for the consumer. In essence, while we strive to offer something for everyone, we are primarily focused on the connoisseur when it comes to quality of experience. Cannabis Training University: President Trump’s recent signing of the Farm Bill created new opportunities with the industrial hemp industry, largely because of hemp’s declassification as a Schedule 1 drug. Can any person in any region of the United States order your flower and have it delivered legally to their home or business? Berkshire CBD: While the 2018 Farm Bill makes hemp legal on a federal level and lays the groundwork for future strides in the hemp industry, state legislation around CBD and hemp flower still varies. While most states have legislation that allows individuals to legally purchase and possess CBD flower as long as it is federally compliant, there are currently still some states in which the law is unclear. Therefore, it is our policy to advocate that all of our patrons be familiar with their state’s legislation regarding CBD and hemp-derived products and use sound personal judgement when considering our hemp flower products. Cannabis Training University: Since CBD flower isn’t an intoxicant, do age restrictions apply for those who want to purchase it? Berkshire CBD: Yes, they do. Our site requires that all patrons be at least 21 years old. Cannabis Training University: CBD products are found in every dispensary. Do you market your flower to dispensaries at the wholesale level? Berkshire CBD: No, we do not. Because the quality of our hemp flower products and the quality of experience for our customer is paramount to us, we want to be able to control every aspect of our process. That means we do everything in­house. While it is tempting to court those larger-distribution offers, we strongly believe that to maintain the premium level of service and product that we strive for, the hands-on artisan business model is the most conducive to our ideology. Cannabis Training University: Some of the dispensaries in Colorado have experimented with nitrogen­filled bag packaging to ensure freshness of product. Do you follow similar practices with your flower? Berkshire CBD: Freshness, particularly in regard to proper cure and humidity levels, is something we pay close attention to. Since we operate primarily on a farm­to­table model, we are less concerned with individual unit packaging than with inventory storage. Essentially, all of our 60-day cured hemp flower is stored in glass jars, away from light and at a constant humidity of 62%. From there, all hemp flower is packaged to order in heat-sealed mylar bags and sent directly to the customer via priority mail. It is our goal to have the all of our CBD flower delivered fresh to the consumer from our curing jars within a few days.